Species distribution models now tend to use Worldclim layers by default, especially in tropical areas where historical climate datat is either sparse or unreliable. However in Mexico the CNA does provide a fairly good archive of data that can be used to derive the worldclim layers. How do the two compare? Looking just at precipitation we can look at this using data that can be imported using the function in the previous post and the bioclim function shown in the post before that. The coordinates of the CNA stations can be downloaded from the Conabio site. Mexico has a fairly comprehensive coverage. The following, heavily nested, query extracts the annual rainfall from the CNA data together with the Worldclim equivalent. 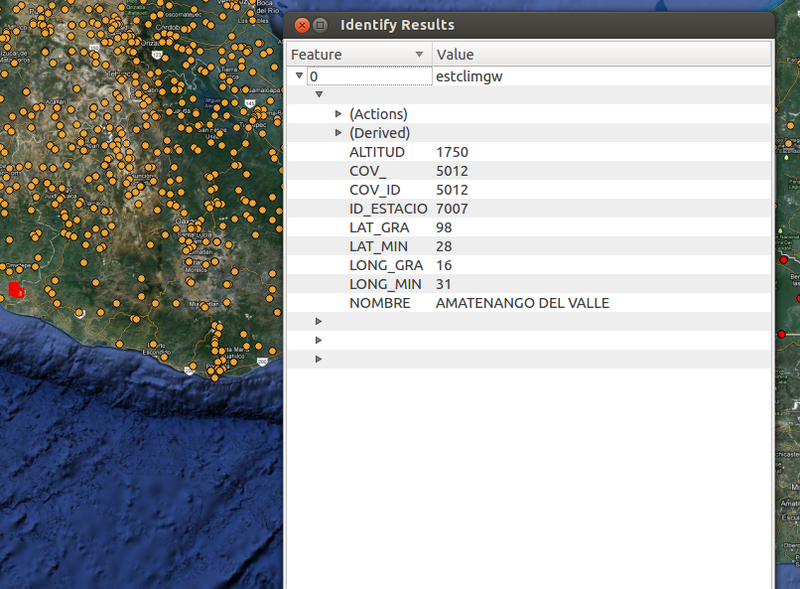 We can immediately spot one large error in the coordinates provided by the Conabio shapefile. Amatenengo (close to Teopisca in Chiapas) has moved to Oaxaca! This is one of the frustrations when working with raw data. There are always some gross mistakes to correct and the temptation is to discount all the data as unreliable. Howver visualisation as maps and figures can uaually help to spot these errors. Now we can analyse the results in R by importing the query. PLease follow this link in order to finsih reading the post. More needs to be done, but it looks as if Worldclim is MORE reliable than local data unless the local data are revised very thoroughly. 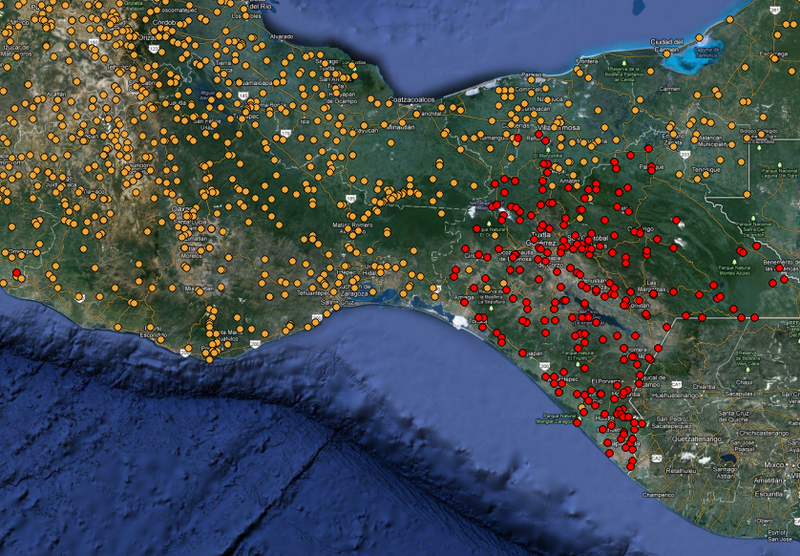 November 10, 2012 in POSTGIS, Uncategorized.